Before its arrival in Okinawa, the sai was already being used in other Asian countries including India, Thailand, China, Vietnam, Malaysia, and Indonesia. It may have been brought to Okinawa from one or several of these places simultaneously. Silat practitioners typically refer to the sai either as chabang in Indonesian or tekpi in Malay. Based on the Indian trisula, early evidence in the form of Japanese art shows that the chabang predates the sai's use in Okinawa and China. The word trisula itself can refer to both a long or short-handled trident. Because the trisula was created in South Asia, it is possible that the sai originated in India and spread along with Hinduism and Buddhism. This is supported by the fact that the trisula is important as a Hindu-Buddhist symbol. 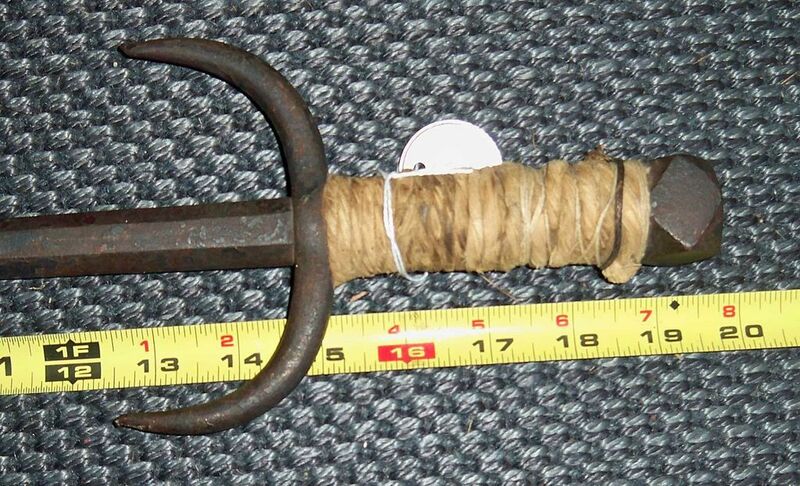 In Okinawa the sai was used by domestic police (ufuchiku) to arrest criminals and for crowd control. Use of the sai in Japanese martial arts was improved in 1668 by Moto Chohei, an Okinawan prince. The sai eventually reached Japan in the form of the jitte, which usually has only a single prong although some jitte have two prongs like a sai. 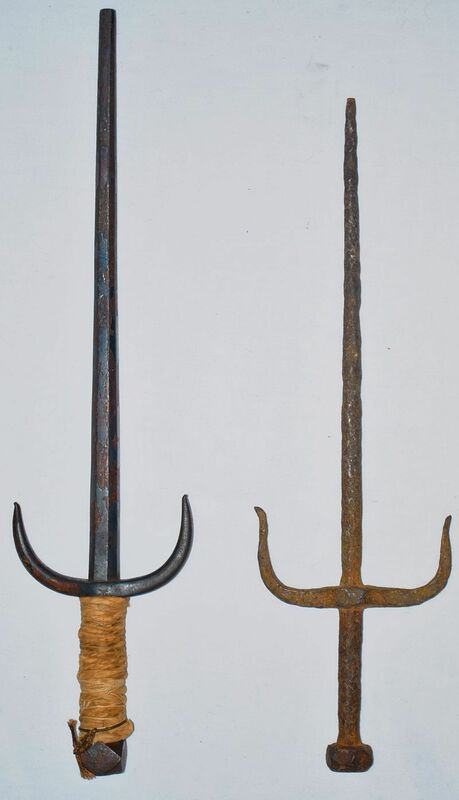 Both are like truncheon weapons, used for striking, bludgeoning, and also for multiple punctures over different positions on the body.